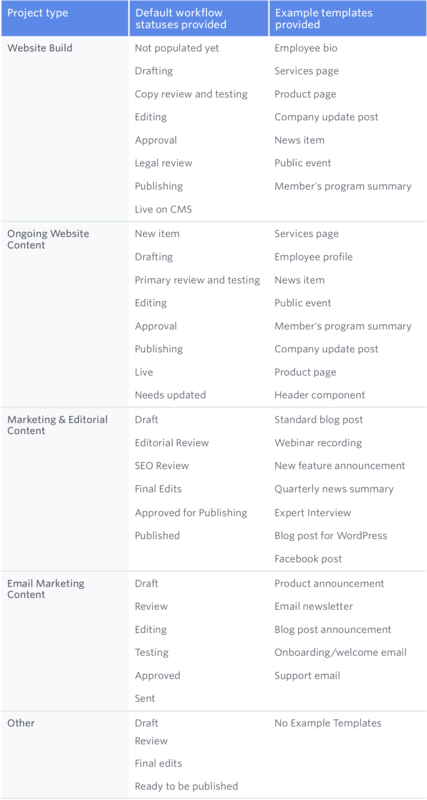 When you create a project in GatherContent, you're asked to choose a project type. Depending on which project type you select, you'll be given a different default workflow and set of example templates to begin with. Tip: Your project type doesn't match one of the options? Choose 'Other'. The default workflow can be completely customised by you and you can also easily delete or update the example templates provided. These are included just to get you started. Project types let you specify what kind of project you and your team are working on, so you're able to manage your project more effectively. You can change the type of project after the project has been created. 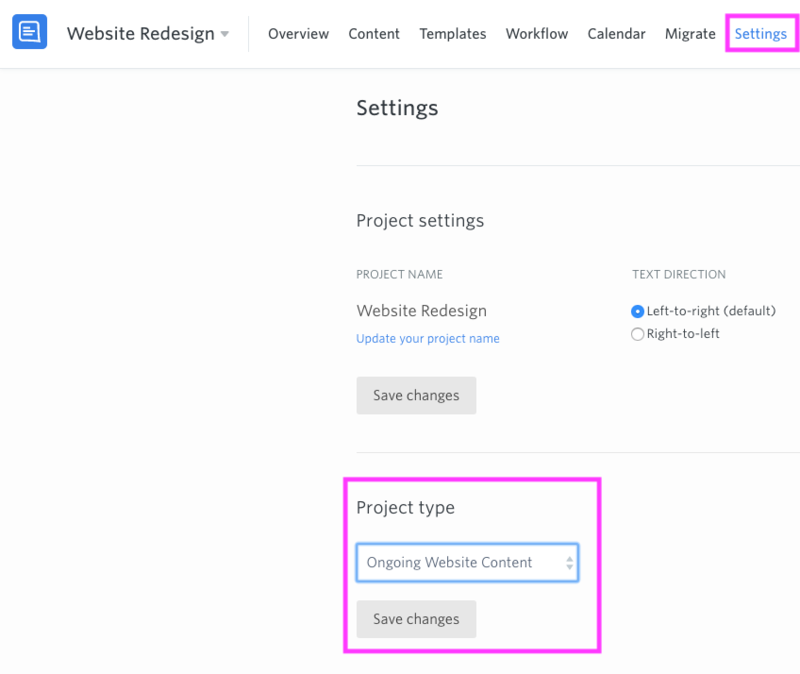 Tip: Changing your project type after it's been created won't update the default templates or workflow stages of your project.